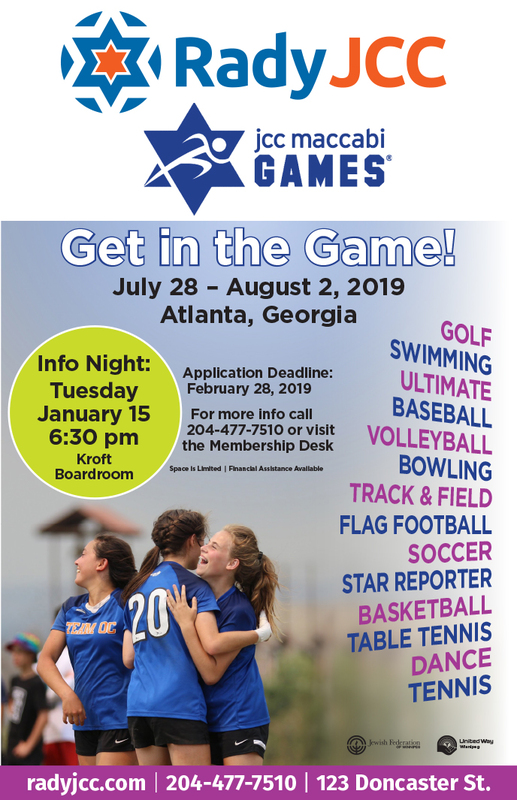 The Rady JCC is recruiting athletes to be a part of the Team Winnipeg delegation joining over 1,500 participants at the JCCA Maccabi Games July 28-August 2, 2019 in Atlanta, GA - and we need your help recruiting participants! The JCC Maccabi Games are an Olympic-style competition for Jewish teens age 13 – 16 featuring Opening and Closing Ceremonies, a week of competition, evening social events, and community service opportunities. It’s a great way for participants to compete in the sport of their choice, connect with others their age, and learn about giving back to the community.